Will Apple ever update the Mac mini? 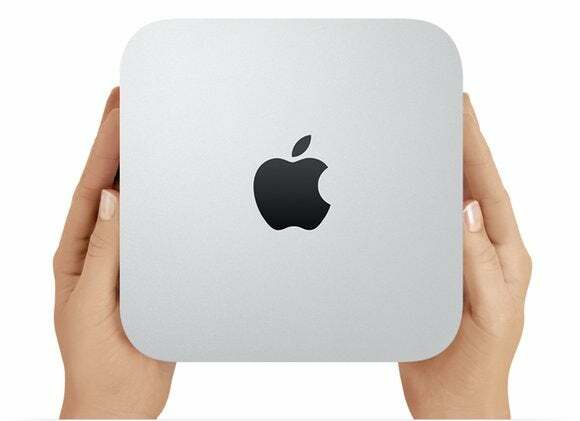 Apple’s Mac mini has been languishing without an update for a very long time now. Will the company ever release a new Mac mini? Apple’s Mac mini has never gotten the attention or prominence awarded to the company’s iPhone or iPad devices. Yet the Mac mini has served many users quite well over the years, and it has provided a cheaper entrance into Apple’s desktop ecosystem. But, as I write this post, it has been 893 days since the last Mac mini was released in October of 2014. At this point the popular MacRumors Buying Guide has the Mac mini listed as a “Don’t Buy” product, and I don’t blame the site one bit. The Mac mini has become yet another casualty in Apple’s laser-like focus on iOS devices. But it’s not alone, other Macs like the Mac Pro and iMac have also been neglected by the company, and have been allowed to languish without updates for a very long time. Apple’s neglect of the Mac mini is actually quite sad, and more than a little short-sighted. Many people do not want to buy the all-in-one iMac and have absolutely no use for a high-priced Mac Pro. They just need a relatively cheap desktop computer that can run macOS. The lower cost of the Mac mini has also helped increase the number of users in Apple’s desktop ecosystem by letting folks enter it who otherwise might never have done so. By letting the Mac mini (and other Macs) rot for so long without an update, Apple has demonstrated that adding new Mac customers doesn’t matter very much anymore. So will Apple finally update the Mac mini this year? I spent some time searching around, looking for rumors or anything I could find that would indicate that a Mac mini refresh is on the horizon. The only thing of interest that I came across was an announcement that Best Buy had cut the price of the current Mac mini down to just $399 (Apple sells Mac minis on its site starting at $499). Best Buy might have cut the Mac mini’s price to clear out inventory for an upcoming new model, or it might be that the retailer just wants to get rid of its existing supply of Mac minis and be done with the product altogether. There's no way for us to know exactly what motivated Best Buy to cut the Mac mini's price. While it’s still quite possible that Apple could announce an updated Mac mini at 2017 WWDC, I wouldn’t hold my breath for it. The Mac mini, along with the iMac and Mac Pro, just don’t seem to matter much to Apple these days. I hope I’m wrong about all of this though, nothing would please me more than for Apple to release a fantastic new Mac mini. But Apple’s recent treatment of the Mac has taught me not to get my hopes up.